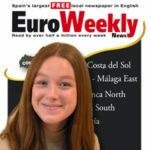 FOR the first time a Spanish law limits homework for pupils at state schools. The regional government’s Children’s Right and Guarantees Law recommends that during compulsory education between 6 and 16 teachers should ensure that most “learning activities” in the syllabus are carried out during school hours. The new law recommends that any schoolwork that has to be done at home does not interfere with their right to leisure, sport and participation in family and social life. Schools should instead contribute to their pupils’ right to develop through leisure and sport. Alicante province parents associations applauded the new law. “Homework is discriminatory and depends on the child’s environment,” said the president of the Gabriel Miro association. “There are parents who spend each evening doing their offspring’s homework, but they are deceiving themselves and their children,” he added.